Imagine suffering from pain in different parts of the body every single morning and waiting for an hour or so for the body to lose its stiffness before going about your daily chores and preparing for work. These are some of the symptoms experienced by people with fibromyalgia, a condition that most of us may be unaware of but that is more common than we may think. According to one study, nearly 1.4 crore people in India suffer from this chronic pain condition and as many as 80% of them are women ..
One in ten people may be suffering from fibromyalgia, said Dr PC Jagadeesh, consultant orthopaedic surgeon at Fortis Hospital in Bengaluru. There may be a psychological aspect to the pain, said Jagadeesh. Stress or highly demanding work situations can aggravate the disease. It can also turn worse for those who are faced with changes in lifestyle such as migration due to job, high emotional stress and loneliness. Widespread musculoskeletal pain is the most common symptom of fibromyalgia. It generally occurs at different places throughout the body, although it may start in one region like neck and shoulders, and later occur at other locations over a period of time. 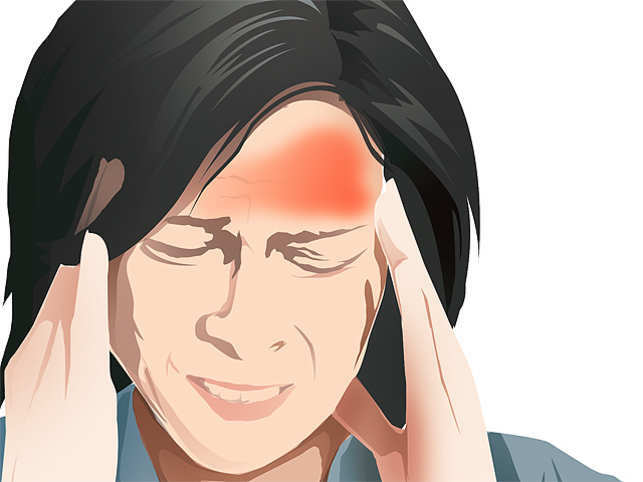 In addition to pain and morning stiffness, people with fibromyalgia could also have memory problems, trouble sleeping, headaches, painful menstrual periods, numbness or tingling of hands and feet, and sensitivity to sound, said Dr Udaya Shankar, consultant-anaesthesiology at Columbia Asia Hospital in Bengaluru. “Since it is a chronic (long-standing) and non-resolving issue, the patient will find it difficult to get rid of the disease once and for all. The people affected will not be able to concentrate on their work properly due to pain. In fact, these problems will often be branded as psychosomatic and this will affect the quality of life and work,” said Jagadeesh. “People with fibromyalgia typically see many doctors before receiving the diagnosis. So, doctors often have to rule out other potential causes of these symptoms before making a diagnosis of fibromyalgia Also, the disease is quite common but usually misdiagnosed. Therefore, the exact number of people who suffer from it cannot be determined,” said Shankar. Fibromyalgia is mostly considered as an arthritis-related condition, but it is not because it does not cause inflammation in the joints, muscle or other tissues. Like arthritis, however, fibromyalgia can cause significant pain and fatigue, and it can hamper one’s ability to carry out daily activities, said Suralkar. There are many things you can do to minimise the impact of fibromyalgia pain. Getting enough sleep, doing regular exercise which is mild to moderate, cognitive behavioural therapy and finding ways to relax are among the ways to get relief, said Suralkar. Suralkar said that most people with fibromyalgia have to make big changes in their work life. Employers have to help them with cutting down the number of work hours for them and ensuring a stress-free environment at office. Patients can consider moving to a less demanding job too. “If you face problems at work, such as an uncomfortable desk chair that leaves your back aching or difficulty lifting heavy boxes or files, your employer may make changes that will enable you to keep your job. It is important to adjust work schedules around the optimal time of day, when the pain is less. Fibromyalgia sufferers must avoid night shifts as their sleep is already affected (due to pain),” said Suralkar. You must make smart choices and keep your health a top priority while on your job because working can trigger fibromyalgia. The pain can also make you less productive while you are at work, said Jagadeesh. 5 Powerful Mental Shifts to Stop Worrying About What Other People Think.